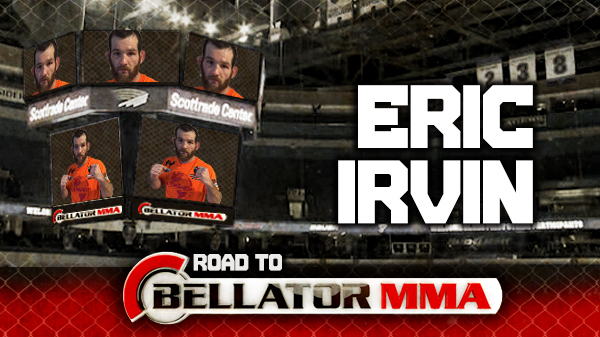 Last year the fans selected Eric Irvin as the best Regional Fighter in the area. He had a great 2014 with wins over Sal Woods and Tyler Combs. How does he top that? 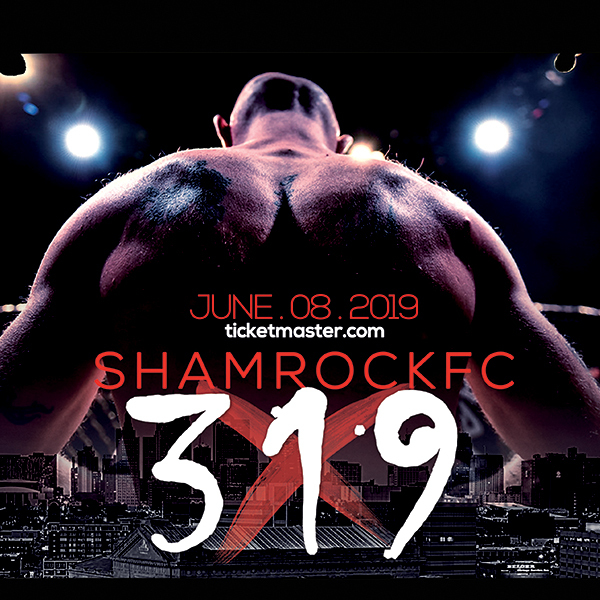 With a new management group in hand, he kicks off the year with a deal with Shamrock FC, and with his first fight he submits a bigger and experienced Josh Thorpe to push his streak to six wins in his last seven fights. Shortly after that it was announced he will be taking part on the historic Bellator 138 card, taking on a young stud named Hugh Pulley. Irvin is no longer the upstart looking to take out big names for their spot, he has their spot. Instead, his eyes on the prize and wants to get to that next level. A win over Pulley would make it five wins in-a row, and get him a little further down that road. Knuckle Junkies: Tell us how you got here, to this fight. Eric Irvin: I guess it was 2008, I don't know. I got out of college, got done wrestling, and everyone was fighting. I just joined a club and started fighting. Seems like I've trained with everybody. I remember 6-7 years ago, everyone was like 'you're lucky you're young,' now I look back and realize that I'm telling that to guys right now. I started at Hahn's and had some amateur fights there. Got with Joe. Pretty much me and Joe and Destruction MMA have been crunching it ever since. I look back, I fought Lance Benoist. He was the '70 champ and I was the '85 champ. I dropped down to '70 to fight him and got beat. No shame in losing to a guy like that. Took some times off to get better. I've been through everything since then. Got a house, got married, got divorced, you name it. Had a good job, got an even better job. I'm evolving in my life just like I am in the sport. I'm just about to my peak, if you can say that. KJ: You and Hugh are at different stages of your career, do you see any similarities? EI: I've always been that guy going 'I don't care I'll fight that guy. I don't care I'll fight that guy'. I think to myself why does he want to fight me? Then I pause and think, I was that hungry guy. I was the guy who wanted to beat that guy on the pedestal up. Not that I think I'm on a pedestal, but I've been around a while and I feel like I've anchored myself in the sport in this area. I remember back thinking I wanted to knock the top level guy off at my weight. Now I feel like I'm one of those guys and it's an honor. KJ: You had a tremendous 2014, where do you go from there? EI: I'm still trying to make my legacy, if there is ever going to be one. I'm not done. It's just starting to get good. I honestly try and look at everything fight by fight. You can't look past the next guy you're fighting or else you're in trouble. I'm going to fight this guy and then fight the next guy, and then the night guy. I'm just going to keep on keeping on.I'm going to keep fighting. I got a new management company, this is the third one and I feel like the third time is the charm. I feel like they're going to put me in the situation I need to be to do what I do. I'm only 29 years old. I have a lot of fighting left. I'm not to my prime yet, I'm going to just dig in and keep fighting. They say guys don't hit their prime until their 34, that's five more years to get better. KJ: Lets talk about your training partner Alex White, does his success motivate you? EI: Yeah a little bit. Alex is one of my good friends. When you see an average day Joe that's right there next to you, doing the things that you're doing and he has success. It just brings it down to earth to let you know this is doable, I can do this. KJ: How have you prepared for this fight? EI: This is human chess. I've watched his tapes, and know what he does. I've partnered up with a Muay Thai guy down in my area, Traditions Muay Thai. I'm just one of those guys who always like to add something new. When you really start to study something and break it down, drilling it. You can just see it, you can see a difference day to day to day. I feel like I'm getting better there. I don't veer from my bread and butter, wrestling and jiu-jitsu. That's why it's MMA, I do it all. KJ: How do you see the match-up going? EI: I just got that mentality that I'm not afraid of anybody. I know he has good judo, I've picked that out. I know he's strong in the clench and he likes to pressure. He's a physical specimen, just look at the guy, and I'm not so I have to work hard. It's going to be a battle of who works harder and who has more talent. We're going to clash and see what happens. KJ: What can fans expect on June 19th? EI: I'm going to do what I always do. I'm going to move forward, going to get in there and fight. I'm going to beat him up, and I'm hopefully going to come out with the win. The "Road to Bellator" is part of a 5-week series highlighting the local fighters fighting on Bellator 138 at Scottrade Center.